Clearmark was founded in 2009 to take advantage of investment opportunities arising from the Great Financial Crisis. Clearmark has its heritage in fixed income portfolio management for institutions. In 2014, Clearmark expanded into equities. In 2018, Clearmark added wealth management services to serve high net worth individuals. George Koo has over 30 years of experience in portfolio management and investment advisory services. Prior to founding Clearmark in 2009, Mr. Koo was the CFO, Director of Investment Banking, and Head of Research for Dahlman Rose (Cowen) for 4 years. Prior to Dahlman, Mr. Koo spent 2 years as the CEO of a technology service company which was a bank foreclosure and turnaround situation. Prior to that, he spent 7 years at Burnham Securities (Drexel, Burnham & Lambert) and at Oppenheimer in various roles including investment banker, co-manager of an equities portfolio, and research analyst covering special situations. Mr. Koo started his investments career in 1985 with Chase Manhattan (JP Morgan Chase). During his 7 year tenure, he rose to portfolio manager overseeing a $3 billion portfolio in mortgage-backed securities that achieved consistent returns of over 10% per year. 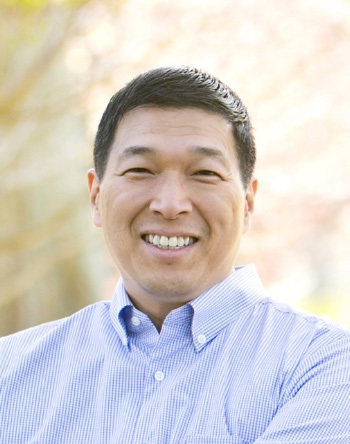 Mr. Koo is currently pursuing a PhD in Quantitative Finance and Technology at Virginia Tech. He received a Masters of International Relations from Harvard University, an MBA in Finance and a BS in Accounting from St. John's University. He holds the CFA and CPA designations. He has taught portfolio management courses to investment firms and universities. During the Great Financial Crisis, he was a consultant at a policy advisor to the US Treasury, as well as an advisor to several major Wall Street firms.